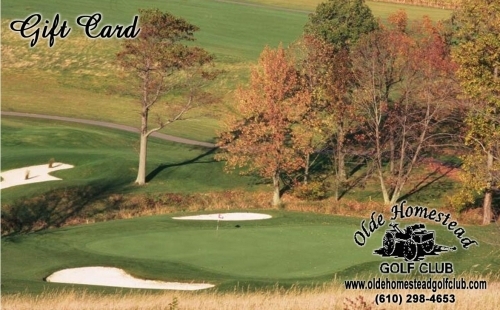 "Purchase your Olde Homestead gift cards online, for an easy and quick gift for the avid golfer. Prices range from $20-$500, the perfect choice for all of your gift-giving needs! Gift cards will be mailed within 48 hours of purchase."